and over again as my mother told me that my grandfather had passed away. I was sitting on the floor of my hotel room in Philadelphia on May 10, 2001. My heart ached because I was not able to make it home to see him. He would ask me that question every time I talked to him. I had moved to Atlanta a few months prior and was getting settled. Between that and travel for work, I wasn’t able to make the weekend trips home like I had intended. He had passed away and I didn’t get to say goodbye and I can still hear his voice asking me that same question. This has made it hard for me to write about him. So, for now, I will just say Happy Heavenly Birthday Grandaddy. I miss you and I love you. This is my tenth post as a part of the original 52 Ancestors in 52 Weeks challenge, created by Amy Johnson Crow back in 2014. I am starting this challenge back up where I left off and hope to complete it this time around in 2018. 1. State of Mississippi State Board of Health, birth certificate 36618 (1917), Richard Edwards; Bureau of Vital Statistics, Jackson. 2. Personal knowledge of the author, Amy L. Cole, [Georgia]. Cole, the granddaughter of Richard Edwards, Sr., attended Mr. Edward’s funeral and burial on 15 May 2001. 3. Mississippi State Department of Health, death certificate 123-01-010764 (2001), Richard Edwards; Vital Records, Jackson. © 2017 Amy L. Cole and Tracing Amy: My Ancestral Journey. All rights reserved. Amy L Cole, “52 Ancestors #10: Richard EDWARDS, Sr. – I Never Said Goodbye,” Tracing Amy: My Ancestral Journey, 31 December 2017 (https://tracingamy.wordpress.com: [access date]). 52 Ancestors #9: Nancy CARR PRUITT – Is she really a Creek Indian? Nancy CARR PRUITT is my paternal great grandmother. She the wife of Henry Bristol PRUITT and is the mother to my grandfather, Samuel Wilson PRUITT. I will just say that I don’t know as much as I would like to know about her. I was able to obtain her death certificate1, thanks to the work of the Rankin County Historical Society in Rankin County, Mississippi and their documentation of the cemeteries there2. I was excited to find her death certificate, because it was one of the first ones that I was able to find during my first research trip to the Mississippi Department of Archives and History. When reviewing the document, it seemed to be riddled with a lot of ‘I don’t knows’, but that could have just been my frustration making those words more noticeable on the paper. Either way, it didn’t give me very much new information to go on. I did find her on the census the 19103 and 19204 census with Grandpa Britt and their children, but I have yet to find her in the other census years. The thing that has lingered in the back of my mind is a question of her really being a Black Creek Indian. That is really the only thing that my family members remember being told about her, other than that she was from Alabama. I know, I know! Everyone says that they have Indian in their family and yes, I have read Dr. Henry Louis Gates, Jr’s article on “Why most black people aren’t “part Indian,” despite family lore.” But I don’t want to count the Indian out just yet. It is something that I want to research, but haven’t gotten enough information on her to even know where to start. It would definitely help to have some documented evidence to corroborate family stories. In the meantime, I will work on trying to get all the information I can find about her during the period of 1870 – 1943. This is my ninth post as a part of the 52 Ancestors in 52 Weeks challenge, created by Amy Johnson Crow of No Story Too Small. 1. Mississippi State Board of Health, death certificate 4442 (1943), Nancy Pruitt; Death Certificates and Indexes; Mississippi Department of Archives & History, Jackson. 2. Rankin County Historical Society, Rankin County, Mississippi Cemetery Records, 1824-1980 (Brandon,MS: Rankin County Historical Society, 1981), 120. 4. 1920 U.S. census, Clarke County, Mississippi, population schedule, Enterprise, p. 6, dwelling 55, family 58, Nancy Pruitt; digital image, Ancestry.com (http://www.ancestry.com: 2014); citing Family History Library microfilm: 2340876. Amy L Cole, “52 Ancestors #9: Nancy CARR PRUITT – Is she really a Creek Indian?,” Tracing Amy: My Ancestral Journey, 29 April 2014 (https://tracingamy.wordpress.com: [access date]). Henry Bristol PRUITT, Grandpa Britt as his known by the family, is my paternal great grandfather and the father to my grandfather, Samuel Wilson PRUITT. No one seems to know much about him. My sister started researching a few years back but didn’t find a lot of information for him either. So far, we have found him on the 19101 and 19202 census of Clarke County, MS. I may have found him in the 1930 census3, but not quite sure its him because he is not living with his wife and children. My sister has shared her research so far, so I am using the tree that she built as a start, but other than what she knows, here is the rest that I have to go on. They might have separated or divorced at some point. No one knows when, but I think the 1930 census5 might be the clue I need, if it is him that I found. He died near Jackson, MS maybe around 1953 and is buried in Mount Olive Cemetery in Ranking County, MS. Grandma Nancy is also buried there7. We believe they had a total of 9 children together: Bertha, Lafayette, Mary, Ethel, Thomas James, Bessie (think she is listed as Chastana on the census), Samuel Wilson, and Lola8. Not knowing exactly when he died and with no Mississippi death record index accessible past 1943, I decided to take a chance to see if there was a death certificate on file for him. I filled in what I knew which was his name, the county that I thought he died in and the year. I was quite disappointed when I received the death certificate in the mail. It was for a Henry Prewett9 sure enough, but it was definitely not my Henry Pruitt because this death certificate makes him born around the same time as his oldest son. So now, I definitely need to gather more information. I will have to try again to research his children. I don’t have much information on them either, but I am sure something will turn up soon. I may have to accept the fact that my research on this line may really require me to visit home and do more research on-site versus on-line. This is my eighth post as a part of the 52 Ancestors in 52 Weeks challenge, created by Amy Johnson Crow of No Story Too Small. 2. 1920 U.S. census, Clarke County, Mississippi, population schedule, Enterprise, p. 6, dwelling 55, family 58, Henry B Pruitt; digital image, Ancestry.com (http://www.ancestry.com: 2014); citing Family History Library microfilm: 2340876. 3. 1930 U.S. census, Clarke County, Mississippi, population schedule, Enterprise, p. 13, dwelling 121, family 122, Britt Pruitt; digital image, Ancestry.com (http://www.ancestry.com: 2014); citing National Archives and Records Administration, 1920; Roll T625_2070. 4. United States World War I Draft Registration Cards, 1917 – 1918, images, Ancestry.com, card for Lafayette Pruitt, serial no. 606, Registration Leake County, MS.
5. 1930 U.S. census, Clarke Co., Mississippi, pop.sch., p.13, dwell. 121, fam. 122, Britt Pruitt. 6. Clifton Pruitt, Pachuta, MS, interview by Amy Pruitt Cole 16 March 2013; audio privately held by interviewer, Georgia, 2014. 7. State of Mississippi, death certificate 4442 (1943), Nancy Pruitt; Death Certificates and Indexes; Mississippi Department of Archives & History, Jackson. 8. Evelyn Pruitt Payton, “Complete Genealogy Report for Henry Bristol Pruitt,” p.3; report Georgia, 12 August 2007; digital held by Amy Pruitt Cole. 9. State of Mississippi, death certificate 4824 (1953), Henry Prewett; Vital Records, Jackson. 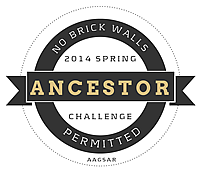 Amy L Cole, “52 Ancestors #8: Finding Henry Bristol PRUITT,” Tracing Amy: My Ancestral Journey, 22 April 2014 (https://tracingamy.wordpress.com: [access date]). My paternal grandfather, Rev. Samuel Wilson PRUITT (or Papa as he is known to the family) passed away just short of his 104th birthday, on February 12, 20041. I often wonder about all the things that he might have witnessed, experienced, or was indirectly affected by during his lifetime. So I have decided to take a stab at listing some of the events that occurred during his 103 years on Earth. Papa was born to Henry Bristol PRUITT and Nancy CARR PRUITT in Jasper County, MS on February 22, 19002, just 35 years after the abolishment of slavery. At that time, President William McKinley was serving his second term in office, but President Theodore Roosevelt would soon take office. During the 103 years, there were 19 people to serve as President of the United States and 24 people to serve as Governor of Mississippi. World War I (1914 – 1919) – I found draft cards for him3 and his brothers; however his brother, Lafayette Pruitt, did go on to serve in the Army during WWI4. World War II (1939 – 1945) during which his son, J. W. Pruitt served in the Army5. Korean War (1950 – 1962) – two of his son’s served in the Army during this time – Clifton Pruitt in Alaska6 and my father, Lee Roy Pruitt in Korea7. He endured the “Jim Crow” Era (1880s – 1960s) and the Civil Rights Movement (1954 – 1968), which led to The Voting Rights Act of 1965 being signed into legislation and finally granting him the right to vote in his own country at the age of 65. A right that most people today have enjoyed since the age of 18 and have taken for granted. After two marriages (Louella DUKES & Betty Louise JACKSON), 12 children (including 2 step-children), 29 grandchildren, 48 great grandchildren and 16 great great grandchildren8, I would say that Papa lived a full life. He may not have enjoyed many of the luxuries that some have, but I believe he was happy just the same. This is my seventh post as a part of the 52 Ancestors in 52 Weeks challenge, created by Amy Johnson Crow of No Story Too Small. 1. Mississippi State Department of Health, death certificate 123-04-005576 (2004), Samuel Wilson Pruitt; Vital Records, Jackson. 2. United States World War I Draft Registration Cards, 1917 – 1918, digital images. Ancestry.com (https://www.ancestry.com: accessed 14 April 2014), card for Wilson Pruitt, serial no. 1121, Registration Clarke County, Mississippi; Imaged from Family History Library microfilm. 3. United States World War I Draft Registration Cards, 1917 – 1918, images, Ancestry.com, card for Wilson Pruitt, serial no. 1121, Registration Clarke County, MS.
4. Find A Grave, database and images (http://findagrave.com : accessed 14 April 2014), memorial page for Lafayette Pruitt (1890–1959), Find A Grave Memorial no. 3,167,532, citing Memphis National Cemetery, Memphis, Shelby County, Tennessee; the accompanying photograph by Family Hunter is materially informative. 5. East Galilee Missionary Baptist Church Cemetery (Jasper County, Mississippi; 232 County Road 1828, Rose Hill, MS 39356), J W Pruitt marker, photograph taken by Amy L Cole, 10 March 2013. 7. Lee Roy Pruitt, phone interview, interview by Amy Pruitt Cole 06 October 2013; audio privately held by interviewer, Georgia, 2014. 8. Samuel Wilson Pruitt funeral program, 2004. privately held by Amy (Pruitt) Cole, Georgia. 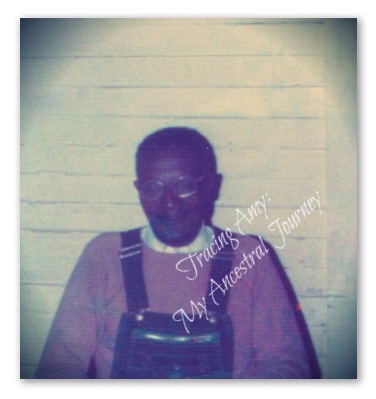 Amy L Cole, “52 Ancestors #7: 103 Years of Life: Samuel Wilson Pruitt (1900 – 2004),” Tracing Amy: My Ancestral Journey, 14 April 2014 (https://tracingamy.wordpress.com: [access date]).